Theodore (Fats) Navarro (24 September 1923 ? 6 July 1950) was an American jazz trumpet player. He was a pioneer of the bebop style of jazz improvisation in the 1940's. 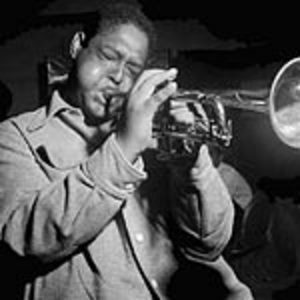 He is regarded by many to have been one of the first modern jazz trumpet improvisers and in his short career had a strong stylistic influence on many other players, most notably Clifford Brown. Navarro was born in Key West, Florida, to Cuban-Black-Chinese parentage. Navarro was born in Key West, Florida, to Cuban-Black-Chinese parentage. He began playing piano at age six, but did not become serious about music until he began playing trumpet at age thirteen. By the time he graduated high school he wanted out of Key West and joined a dance band headed for the midwest. After touring with many bands and gaining valuable experience, and tiring of the road life, Navarro settled in New York City in 1946, where his playing really took off. He met and played with, among others, Charlie Parker, one of the greatest musical innovators of modern jazz improvisation. He also developed a heroin addiction, which, coupled with tuberculosis led to a slow decline in his health and death at the age of twenty six.